Click here for sample verses from the version by George Campbell. 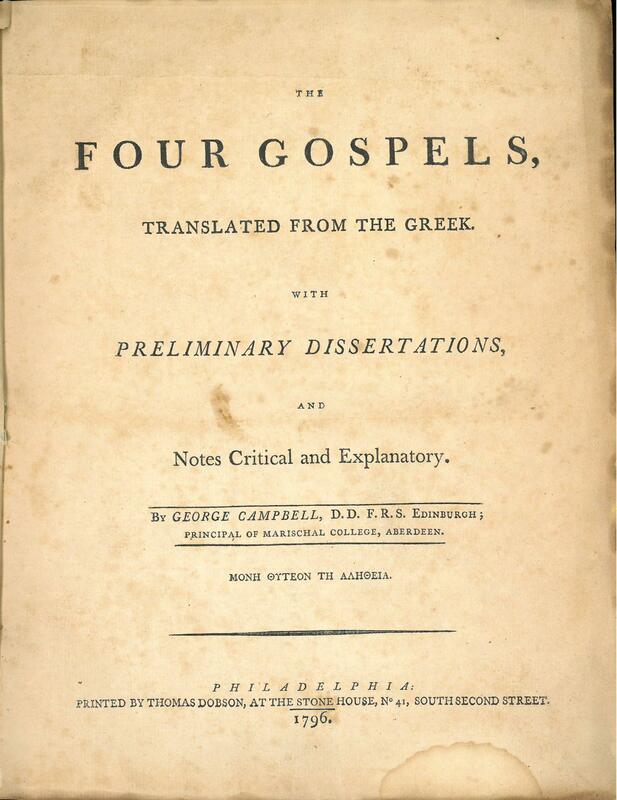 Title: The Four Gospels, translated from the Greek. With Preliminary Dissertations, and Notes Critical and Explanatory. 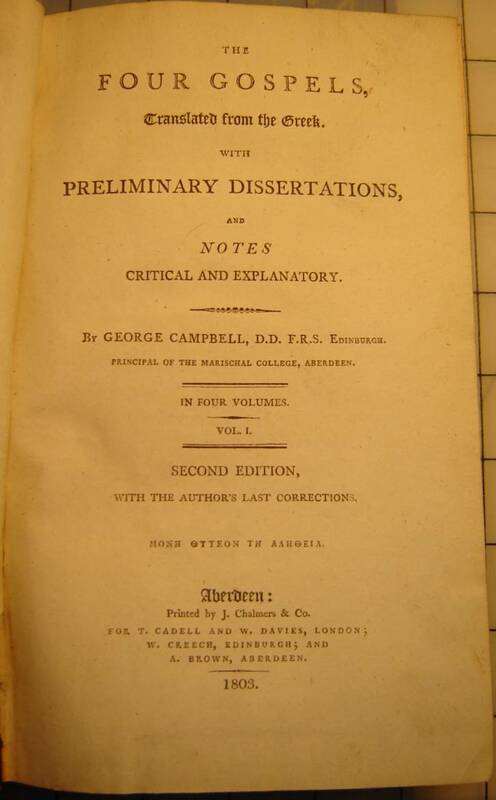 By George Campbell, D.D. F.R.S. Edinburgh; Principal of Marischal College, Aberdeen. ΜΟΝΗ ΘΥΤΕΟΝ ΤΗ ΑΛΗΘΕΙΑ. Description: Quarto (277 mm). vii, xvi, 488, 196 pp.,  ff. Comments: This is the complete four-volume set. 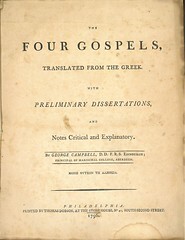 Volumes one through three contain notes and the translation of the gospels is in Volume four.